Last night my house at Uni was in full festive mode as we hosted Christmas Day before we all go home for proper Christmas! Me, Abi, Danielle, Amy and Sam had a full evening of gifts, food, matching pyjamas and games and it was lovely. 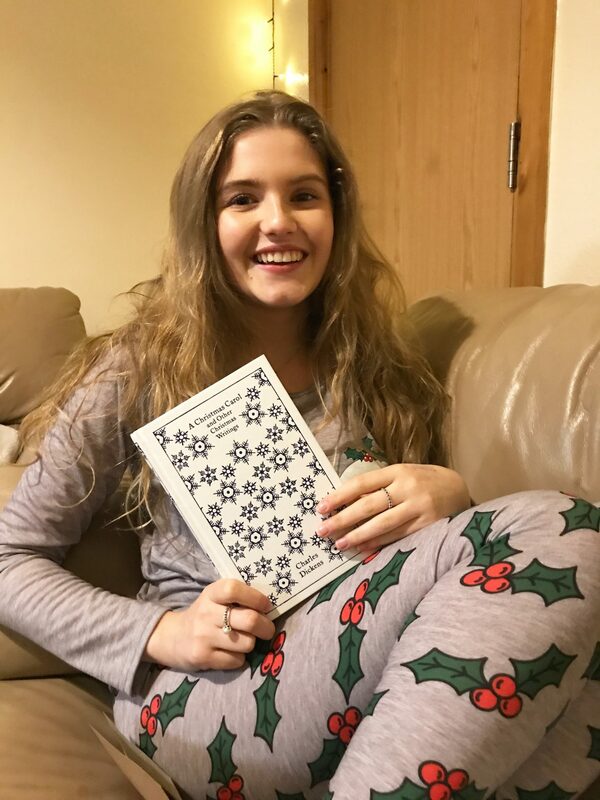 I thought I’d talk you through the night and what gifts we all received as part of our Secret Santa Swap- again this might be handy if you’ve got a last minute gift to buy for someone. A few weeks ago we all picked names at random to decide who we would be purchasing a gift for, the limit was £10, although I think we all spent a little bit more, oops! None of us had any idea who each other had, despite Danielle insisting for a full week that I had Sam (I didn’t!). We seem to have accidentally stuck to a theme without realising it, as we all went down the book or cooking route. So first up, Amy. 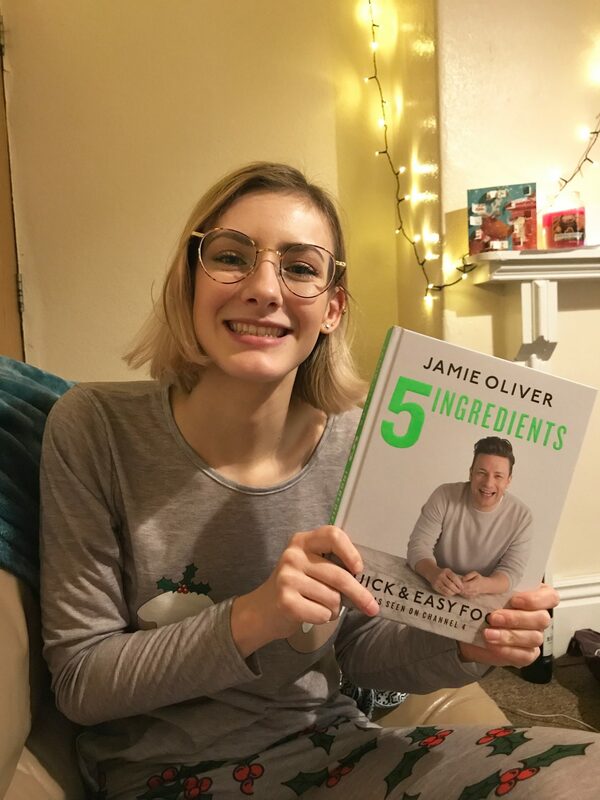 I had her and I remember her mentioning ages ago that she wanted to try the new Jamie Oliver 5 Ingredients book, so that’s what she got! I wanted to get her something that was useful, she loves to cook and try some new recipes and it should be fairly cheap and simple for a student to achieve these meals, so I thought this was ideal. Following on, Sam. 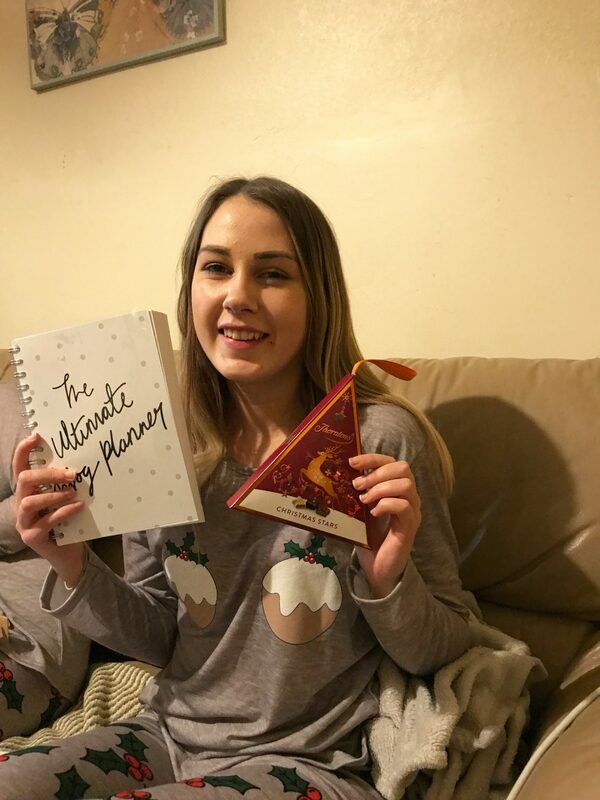 Amy had her and as Sam has also started blogging this year (check out her blog here) she got her a Blogging Diary to help her organise her posts and jot down any ideas along with some Thorntons Chocolate. It’s the perfect present for someone who blogs or perhaps has a YouTube channel as it will help with tracking figures as well as being a good photo prop! Next up, Sam had Abi, our resident Chef. 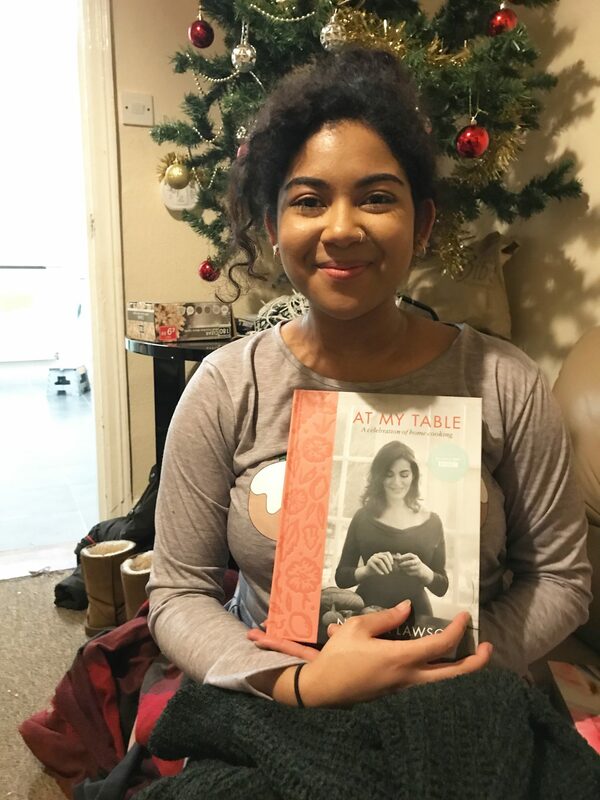 Here’s where the theme continues as she also received a cookbook, Nigella Lawson’s At My Table. Anyone that knows Abi will know she can whip up a feast from scratch and she is the queen of herbs and spices so a bit more of an advanced book is suitable for her. I can’t wait until she comes back from home in January to cook us up something lush! You get the idea now, Abi had Danielle. 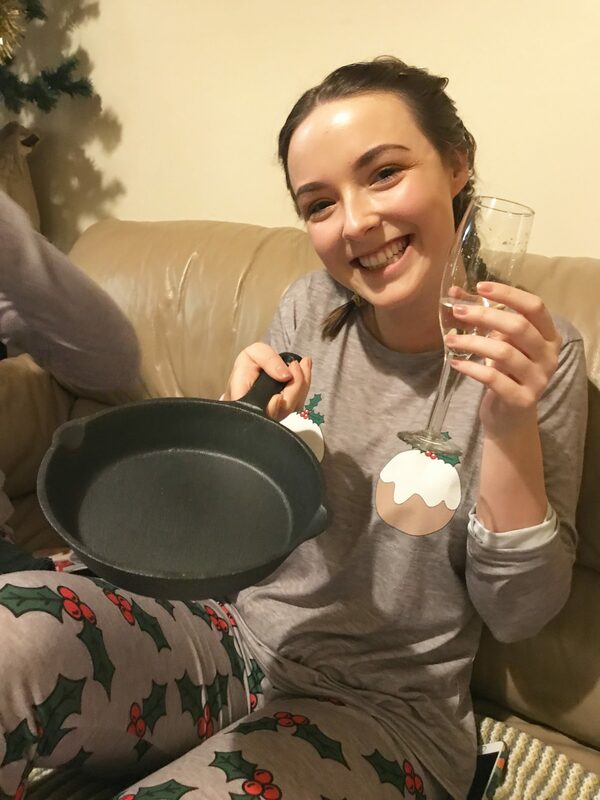 Again with cooking on mind, Danielle received a Cast Iron Pan which she has been talking about for ages. This is so that she can whip up some nice omelettes for breakfast and it’s not something you would probably buy for yourself unless you really needed it (which as a student I suppose you don’t). Finally, that meant that Danielle had me, she knows I love the Penguin Clothbound Classic Books which have beautiful covers for some of the best novels ever written! So in the spirit of Christmas she got me A Christmas Carol and Other Christmas Writings which I can’t wait to read while curled up with a tea in front of the Christmas tree. The cover is absolutely gorgeous with snowflakes on a traditional snowy white background. Thanks so much Danielle if you’re reading this! 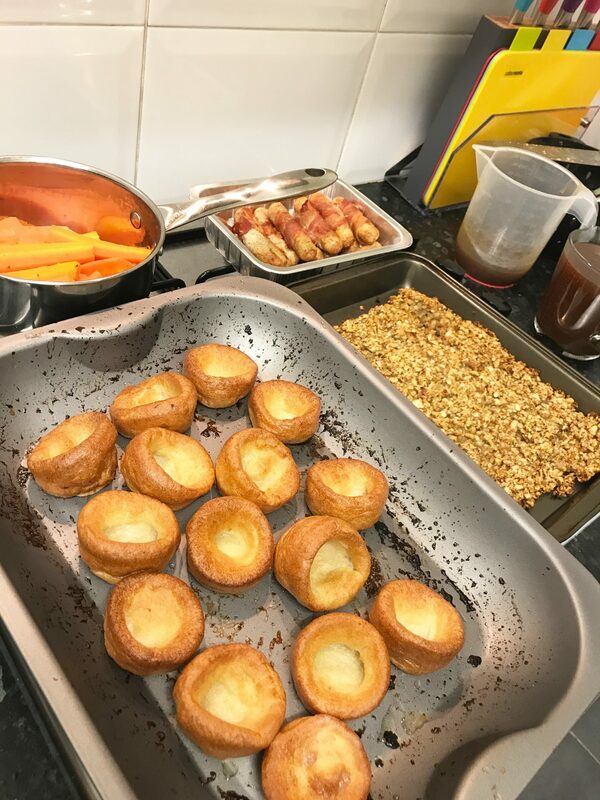 After presents, we tucked into a mean Christmas Dinner which we all helped to prep but really Abi must take all the credit for such a good spread. We were in quite the food coma after consuming our bodyweight in roast potatoes, turkey etc and a pudding course of different flavour cakes. 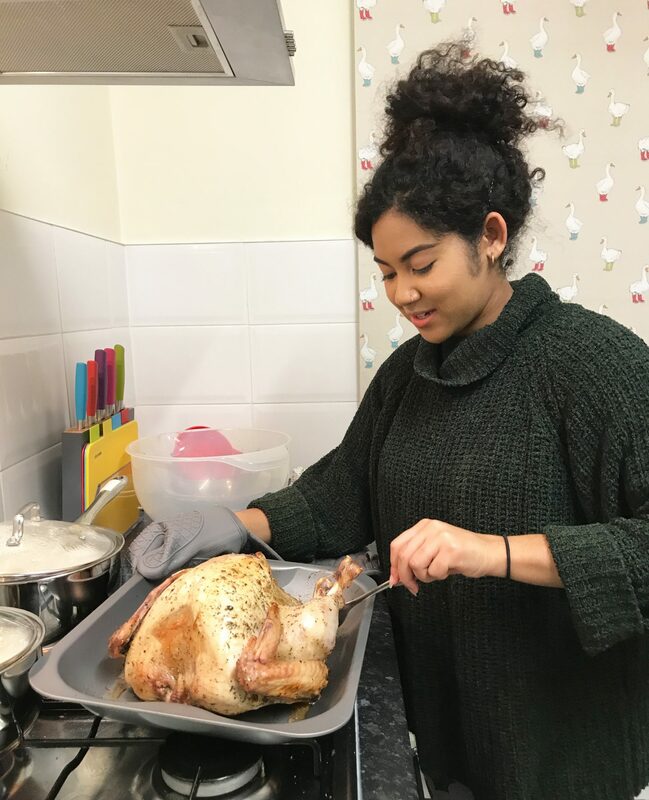 The only problem is, now we’ve discovered how good Abi really is, we will all most likely be demanding a roast dinner from her every other weekend. 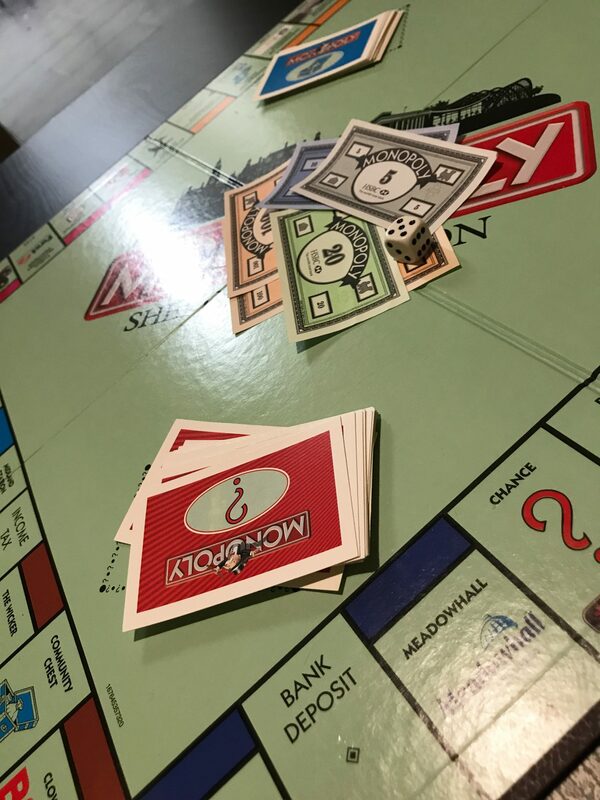 We played a silly round of headbands but after that, to finish the night we turned to a classic board game, one which was sure to cause an irreparable rift between housemates…Monopoly. When it got to 1am and me and Amy had to get up early in the morning we called it a day while the other 3 carried on. We didn’t want a full blown scrap as is usual for Monopoly so it was perhaps for the best! So there you have it, our mini version of Christmas at Uni, let me know what you think in the comments below!